limit online before the flight. Wheelchair must be pre-booked at least 48 hours prior departure time. 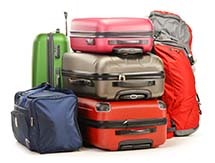 Each piece of luggage cannot exceed 32 Kg (even if it is for two passengers).